Trials, challenges, anxieties, come in different forms but hits us more squarely when it is about family or loved ones. We must always hold on to our faith and trust in the Lord our God. For He is with us through it all. What uplifting joy it is when all is well with our loved ones. Do we not first and without reservation give Glory to the Lord?! For in all things it is right to give Him thanks and praise. One who truly loves the Lord our God with all his/her heart will always be prepared to proclaim what the Lord has done for them to all who will listen. Blessed be his great name! Blessed be all his holy angels! Tobias went into the house, and with a loud voice joyfully blessed God. Then he told his father everything: how his journey had been successful and he had brought the silver back; how he had married Sarah, the daughter of Raguel; how she was following him now, close behind, and could not be far from the gates of Nineveh. Tobit set off to the gates of Nineveh to meet his daughter-in-law, giving joyful praise to God as he went. When the people of Nineveh saw him walking without a guide and stepping forward as briskly as of old, they were astonished. 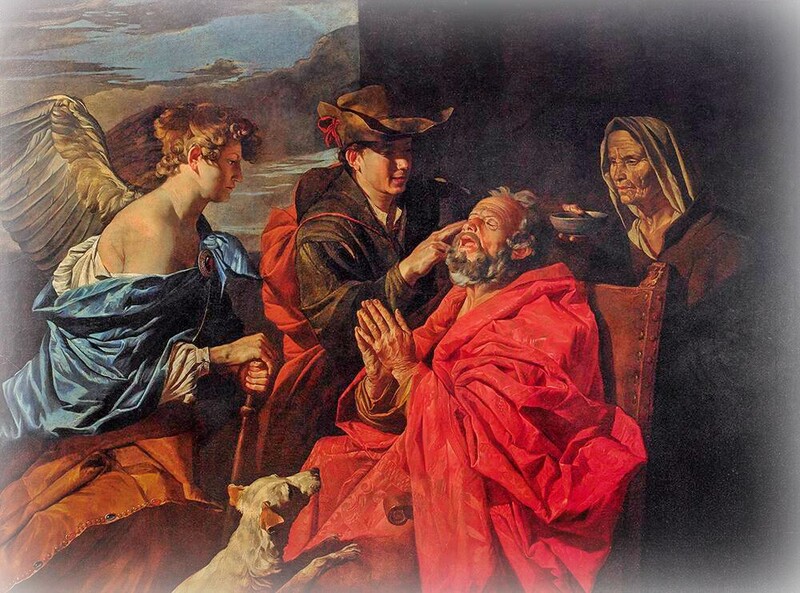 Tobit described to them how God had taken pity on him and had opened his eyes. Then Tobit met Sarah, the bride of his son Tobias, and blessed her in these words, ‘Welcome, daughter! Blessed be your God for sending you to us, my daughter. Blessings on your father, blessings on my son Tobias, blessings on yourself, my daughter. Welcome now to your own house in joyfulness and in blessedness. Come in, my daughter.’ He held a feast that day for all the Jews of Nineveh. David himself calls him Lord, in what way then can he be his son?’ And the great majority of the people heard this with delight.